Quality dental care and cosmetic dental procedures can be extremely visible. Think porcelain veneers, dental crowns, and teeth whitening. Today, however, let’s talk about some purposefully unseen procedures that can contribute to a healthy, remarkable smile. Today’s post will highlight three revolutionary cosmetic dental treatments: white fillings, invisible braces, and dental implants. Tooth-colored fillings, white fillings, or invisible fillings are designed to blend seamlessly with your natural tooth color. These are fabricated out of strong composite resins and porcelains. If you would like to get rid of the silver amalgam fillings in your teeth, white fillings are the answer. You can’t go back and eliminate those cavities, but you can make the silver disappear. Orthodontia has become less visible with the availability of invisible braces. Custom invisible braces are worn either over teeth or behind the teeth. Invisible braces are effective and convenient. Though they are not always the best tooth-straightening option for everyone, they have helped many dental patients align their teeth for a dramatic improvement in their smile. Sure, the crown of a tooth implant is clearly visible. But the critical part – the component that makes them so much stronger than a dental bridge – is anchored into your jawbone. A titanium post secures your restoration to offer the look, feel, and strength of a natural tooth. If you are missing one or more teeth, consider dental implants. At Excellence In Dentistry we are committed to creating appealing smiles for our valued Alaska dental patients. We provide a full menu of general, preventative, restorative, and cosmetic dental treatments including complete smile makeovers. Some of our most popular treatments at Excellence In Dentistry include dental implants, porcelain veneers, and Invisalign invisible braces. 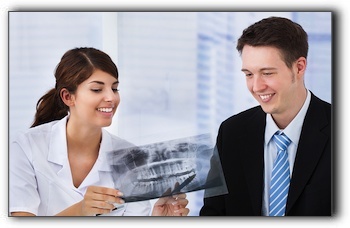 Contact Excellence In Dentistry today at (907) 349-0022 to schedule an informative consultation.